On any given Sunday night in Memphis, there’s no shortage of fun and exciting ways to finish off your weekend (or start off your week) including some great live music, fine dining, excellent cocktails, energetic dancing and even a few places to play arcade games while you drink. Memphis is a city in the southwest corner of the state of Tennesse and is full of music and art. With a population just shy of a million people, this river town and its Memphian inhabitants offer a wide variety of entertainment options, even on Sunday nights. Whether you're just looking for a calm nightcap or hoping to get the last of your weekend energy out at a dance club, downtown Memphis offers a variety of venues for your enjoyment on Sunday evenings. Check out some of these great local staples if you're visiting the great state of Tennessee. 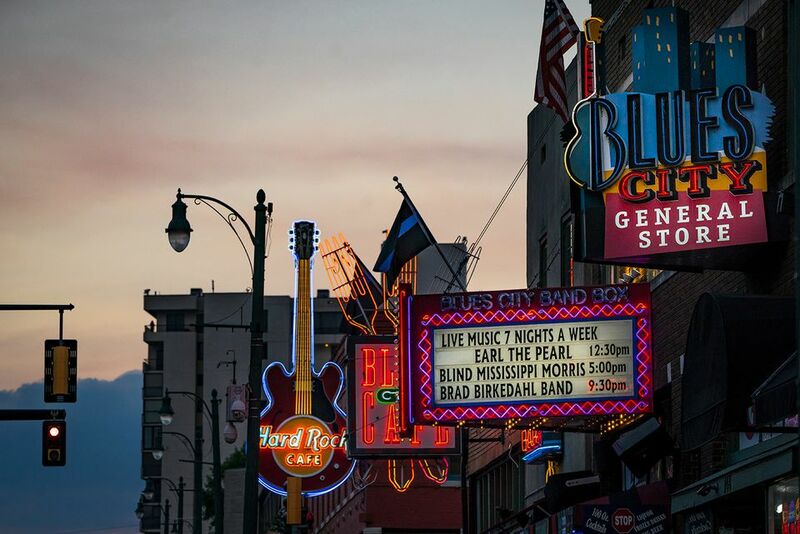 If you're in the mood to experience the rich musical culture of Tennessee's second largest city, look no further than these great Jazz and Blues clubs. Jazz Sundays at Earnestine & Hazel's is an excellent way to spend your Sunday evening. Starting at 8:00 p.m. and free of charge to bar patrons, Earnestine & Hazel's offers live jazz at one of Memphis' finest juke joints. Found at 531 South Main Street, this centrally located dive is sure to lighten up your evening with swinging jazz tunes and live bands. If you're in a slightly bluesier mood, though, you may want to check out FreeWorld at Blues City Cafe instead; located at 138 Beale Street, this long-standing Memphis jazz-funk jam band (FreeWorld) plays world-famous Blues City Cafe every Sunday night starting at 9:30 p.m. and continuing way into the wee hours of Monday morning. Lafayette's Music Room, centrally located in the Overton Square Entertainment District, offers a different live music performance each night of the week, including Sundays. With a wide variety of featured acts, you're never sure what you're going to get when you go into Lafayette's, but you're sure to be happy with whomever the entertainment director's selected to perform—check out Lafayette's Music Room's website for more information on upcoming events. Although all three of the music venues above also offer a great selection of meals and beverages, sometimes a good meal and a nice cocktail are all you need to make the most of your Sunday night. Fortunately, if you're staying in Memphis and looking for a good place for both, the downtown area offers plenty of great restaurants and bars. In the mood for a dive bar? The Cove offers a selection of traditional American pub food and a great selection of craft and domestic beers along with a killer specialty cocktail list. This pirate-themed cocktail and oyster bar, featuring daily drink and meal specials, is sure to become your new go-to spot for dive bars. For a more upscale dining experience without the hassle of the upscale crowd, consider checking out South of Beale. Located just a few blocks from the Memphis Rock 'n' Soul Museum and the National Civil Rights Museum, this relatively new gastropub focuses on chef-driven food and environment, "where quality food is served without the stuffy atmosphere."